Fresh off a tour with Greenhouse Effect, Blueprint updated his Printmatic blog today with some major announcements. His Chamber Music instrumental record is approaching its 10th birthday, which could mean it's time for a sequel. He's accumulated enough tour stories to compile a memoir from the road, tenatively titled “What A Night”, based around the worst nights he's had on tour. His follow-up to Adventures In Counter-Culture is done, though still in need of artwork. Oh, and he's getting back together with RJD2 to reform Soul Position and recently completed an EP with Aesop Rock – nearly forgot to mention that. 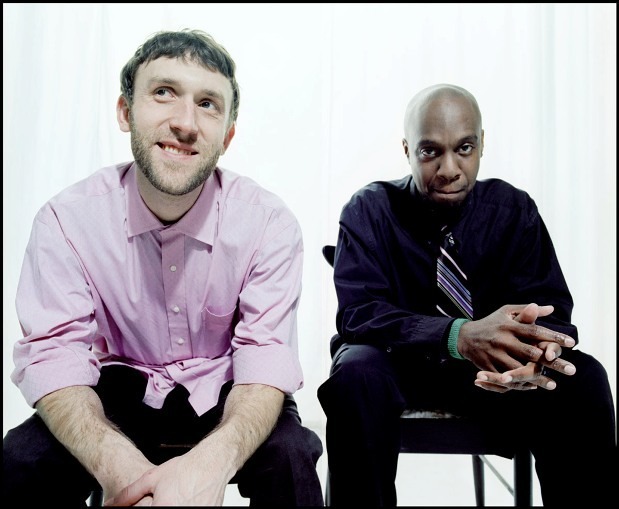 Blueprint and Aesop Rock have been on-and-off collaborators since the days of forming a indie rap supergroup with Slug, Eyedea, Illogic, and Sage Francis called The Orphanage. It was “Alchemy”, a track of Aesop's Daylight EP, that introduced Blueprint to a larger audience with a near song-stealing verse that to this day gives us goosepimples. The two collaborated again on “Lo-Fi Funk” from Blueprint's solo debut on Rhymesayers 1988. Two for two in collabs, the news of at least five more songs together earns the thumbs up. The Soul Position announcement is less concrete. The group's last album was 2006's Things Go Better With RJ and AL. As of today's news, Blueprint could only say music is underway.